With the aim of providing administrators and teaching staff of universities and colleges in the South of Vietnam with knowledge and skills relating to available online tools and sources for their work and teaching, especially for instructional material development, SEAMEO RETRAC conducted a three-day training workshop on designing and organizing online instructional materials at the Center from April 01 to 03, 2015. Participating in the workshop were 15 participants from different higher education institutions in the country. 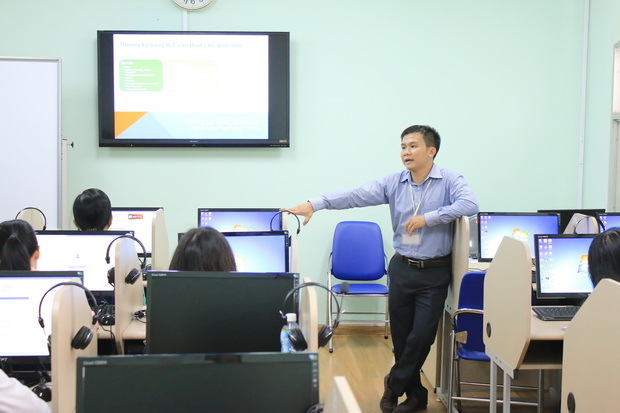 The course covered such topics as Google forms, Google drives, Google class, Edmodo and so on which could help the participants effectively utilize different online sources for the development of instructional materials at their institutions.